New Delhi: Look around and you will find a bit of plastic everywhere – it is in our homes, offices, even in our wallets and phones. From its beginning in the year 1950, plastic production globally has increased dramatically from 2 million tonnes to 380 million tonnes in 2015. Courtesy, plastic convenience – it’s lightweight and durable nature has made this man-made material ubiquitous. But, this everyone’s favourite material has a flipside – plastic is a non-biodegradable substance and it does not decompose naturally. Experts say that plastic takes approximately 500 years to degrade itself that means whatever plastic has been used in the earth till date can be found within the planet in some or the other form of plastic waste. According to the recently released report by the Central Pollution Control Board (CPCB), India is generating much more plastic than it is reporting and it is becoming a problem. Here are five takeaways from the recently released report that highlights the grim reality of India’s plastic crisis. According to the report, only 14 of India’s 35 state pollution boards (SPBs) filed information on plastic waste generation in 2017-18. The report also stated that the 14 state pollution boards have submitted partial information on the Plastic Waste Management rules deployed in their areas. There are about 383 unregistered plastic manufacturing/recycling units that are running in few States/UTs of India, namely, Bihar, Punjab, Manipur, Jammu and Kashmir, Uttar Pradesh, and Uttarakhand. According to the Rule ‘14(1)’ of Plastic Waste Management Rules, 2016, shopkeepers/retailers are responsible for the use of properly marked and labeled plastic carry bags. As per the findings of CPCB, most of the States/UTs are not following that proper practice, especially in case of the carry bags available with the street vendors and small retailers. Moreover, the States/UTs have also not set-up a proper monitoring system for the use of carry bags as per the specified guidelines. There are many places in the country that are still using plastic carry bags below 50 micros, even though it has been banned completely. 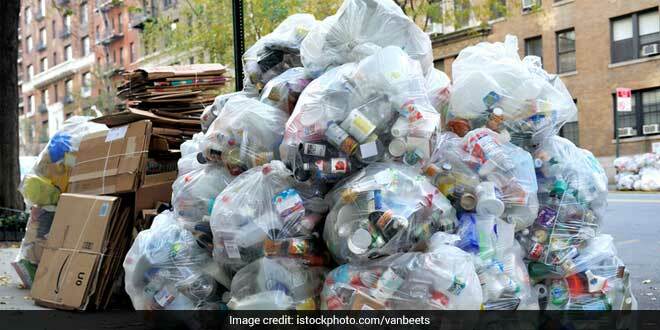 Moreover, CPCB findings state that states/UTs in the country who have imposed a complete ban on use and sale of plastic carry bags are still indiscriminately using and selling it. As per Rule ‘16’ of Plastic Waste Management Rules, 2016, it was recommended that states should have a State Level Monitoring Committee (SLMC) to monitor the implementation of Plastic Waste Management rules, however, till date, the majority of the States/UTs have not constituted such monitoring body. Moreover, the states are not convening meetings on a regular basis, to monitor the progress of implementation of the plastic rules, as a result, Plastic Waste Management Rules are not effective anywhere leading to widespread littering and plastic pollution.